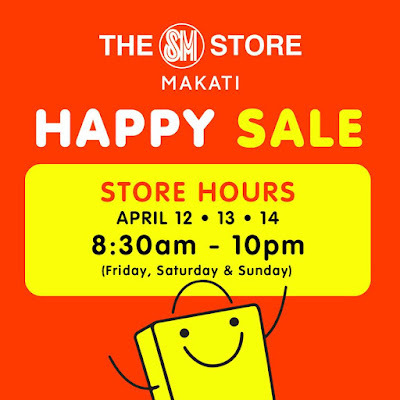 It’s The SM Store Makati’s Happy Sale on April 12-14, 2018! Save up to 50% off on selected items! SMAC and BDO Rewards members get EXTRA 10% off from 10AM-12NN. Don’t miss it!